Not a day goes by without the healthcare sector making the news and not usually for positive reasons. Medical record scanning can change that with improved security for patients’ records. From A&E crises to spending cuts and increased waiting times, the healthcare sector isn’t having a great time of it lately. We all know the potential of organisations like the NHS but all they need is some cost effective solutions and a push in the right direction. Medical record scanning would digitise both archived and current patient records to enable them to be implemented into a digital system for easy retrieval. It would allow hospitals, GPs surgeries and health centres to adopt a more reliable document management system rather than struggling with long file retrieval times. In services as vital as healthcare, it is incredibly important to ensure that patient information is safeguarded from loss, theft and damage. In a traditional hard copy storage system, files can be taken without permission. They are also at risk of damage as paper isn’t a very durable format and one simple misfile can bring major problems to the whole system. Storing medical records digitally not only makes accessing them much simpler, with file retrieval reduced to mere seconds, it also offers that extra security that paper documents simply don’t offer. Files can be encrypted and password protected to ensure that only the relevant parties have access the that particular piece of information. Backing up files into cloud storage or shared networks will also offer extra safety in the unlikely event that a file is lost. Hard copy storage can be removed once the scanning process is complete, freeing up valuable space which can be used more efficiently. Time spent on file retrieval and file administration duties can be reduced. 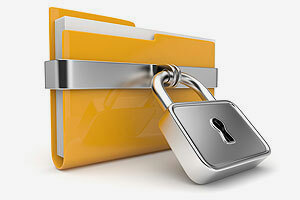 Files can be sent to other departments quickly, easily and securely. Costs can be saved on printing and printers when documents can be viewed, edited and shared digitally. 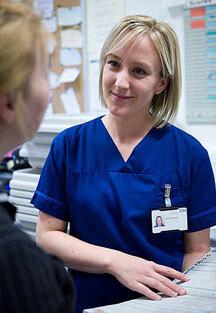 Improving the system will make for a more positive response from patients about your services. Here at Pearl Scan we offer a medical record scanning service that has been trusted by the NHS and a number of other healthcare organisations. Our services are fully accredited with ISO security certificates and we operate from secure premises. We can even collect your boxes from anywhere in the UK with our secure nationwide collection service. Security one of the main priorities when undertaking scanning projects as we want our clients to know their documents are in safe hands throughout the entire process. Our medical record scanning has a quick turnaround period which can be as short as 24 hours so you can have your digitised and fully indexed patient records back to you in no time. We can also provide our document management and retrieval software, Halogen, free of charge to help you get started with digital document management. If you would like some more information about the medical record scanning service we offer as well as the optional extras, take a look at our website or get in touch today for a free no obligation quote for your scanning project.